In the recent development, today morning, a Japanese space probe was deposited the two tiny rovers. These rovers were deposited on an asteroid which is nearly 200 million miles from Earth. The vehicle in which these two tiny rovers have gone is known as Hayabusa 2. Hayabusa 2 which is Japan’s space probe has been circling a 3,000-foot wide asteroid form the month of June. The name of the asteroid is Ryugu. The space probe has now deployed the two tiny rovers which are MINERVA-II1A and MINERVA-II1B at about 12:06 AM EDT on 21st September. This event was taken place at about 180 feet above the asteroid Ryugu boulder-strewn surface, as said by the members. 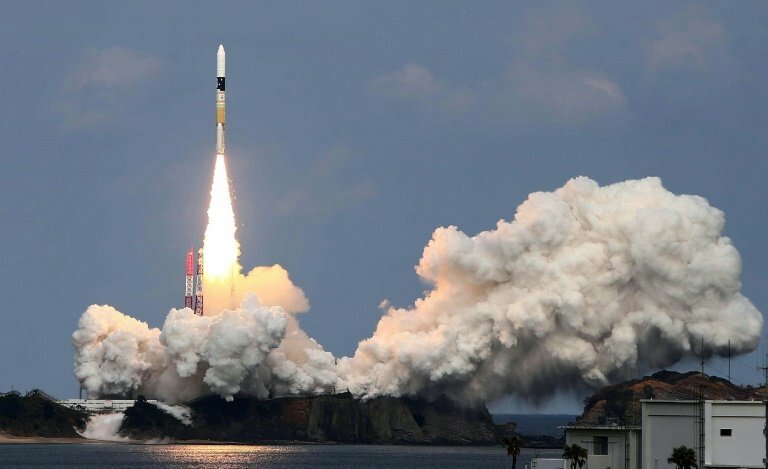 As per JAXA official’s announcement in which they have said that the separation of MINERVA-II1 has been now confirmed, the state of the spacecraft is said to be normal, and this confirmation comes after a tense descent for the Hayabusa 2 flight controllers. When it comes to the control room, the scientists have taken a deep breath of relief after it landed safely. As per the officials, they said that this is the confirmed signal from the MINERVA-II1A rovers which is after they have been deployed. They did lose contact as the asteroid Ryugu rotation was going on before they get the confirmation about it. The main goal of the mission is to learn about the asteroid as well as the types of objects that are made of Asteroids. Ryugu has thought that it is the remains of the early solar system which remains unchanged over the last 4.5 billion years. The studying about the small sample of the asteroid gives hopes to the scientists that there is the lot of precious information which is about the planetary system. These rovers that are landed on the surface of the Ryugu is cylindrical. The rovers have got multiple cameras in them as well as the sensors for the temperatures to map and to image Ryugu. The main purpose about them is to gather the data and also to demonstrate the bots that can explore the low-gravity environment. They don’t have normal wheels as they will get float away. So they are based on the hoping strategy that will allow the rovers to explore the surface of the Ryugu in a more detailed as well as in a proper way. They can do the Ryugu experiments autonomously without any drifting off.